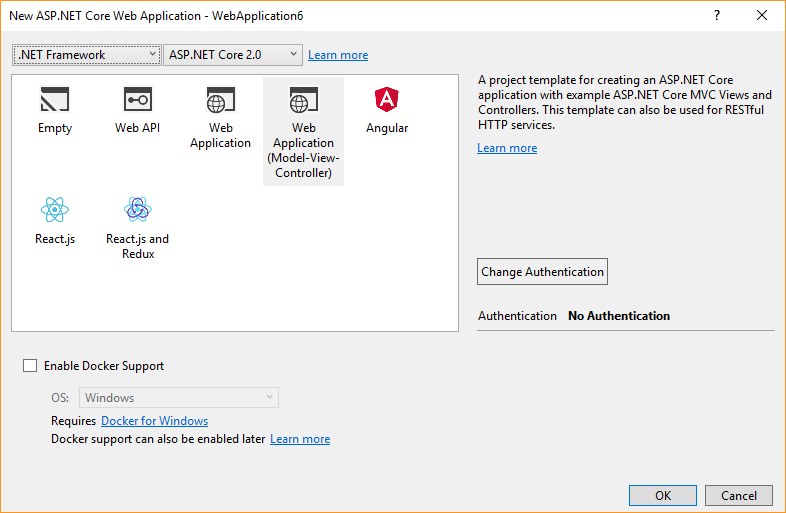 Code Inside Blog | Did you know that you can run ASP.NET Core 2 under the full framework? AFAIK the framework dropdown in the normal Visual Studio project template selector (the first window) is not important and doesn’t matter anyway for .NET Core related projects. The important part for the framework selection can be found in the upper left corner: .NET Core is currently selected. After that your .csproj has the needed configuration. The biggest change: When you run under the full .NET Framework you can’t use the “All”-Meta-Package, because with version 2.0 the package is still .NET Core only, and need to point to each package manually. 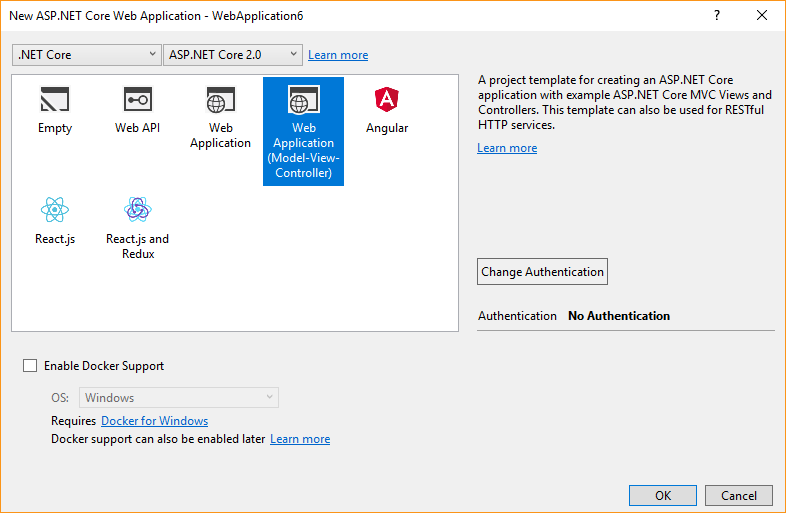 Be aware: Maybe with ASP.NET Core 2.1 the Meta-Package story with the full framework might get easier. I’m still not sure why I struggled to find this option… Hope this helps!